May such sudden death shake no one in faith, for we know that God arranges man’s paths. It is impossible to understand this tragedy with the human mind. We believe that God leads each one of us along his own path and that the purpose of life is not quiet retirement in abundance and prosperity, but the Heavenly Kingdom. 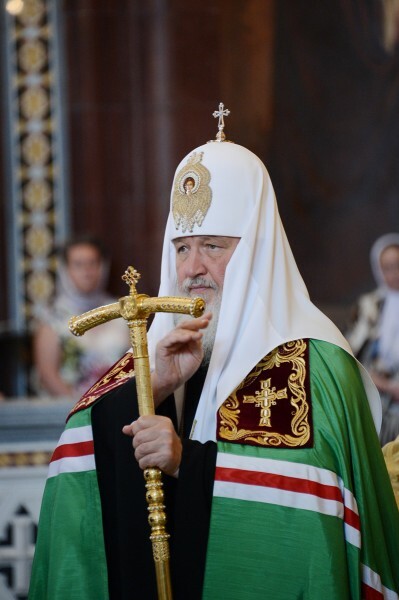 On July 8, 2012, His Holiness, Patriarch Kirill of Moscow and All Russia, celebrated the Divine Liturgy in the Cathedral of Christ the Savior in Moscow, patriarchia.ru reports. 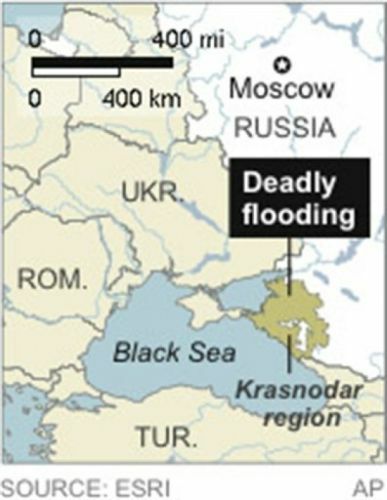 “Today at the Divine Liturgy we also prayed for those who tragically perished in the southern part of the Krasnodar region from a terrible incursion of waters that, in literally a few minutes, overturned houses, destroyed bridges, and claimed dozens of human lives. As witnesses have informed me, this was something incomprehensible and unforeseeable. A wave of water measuring several meters fell upon the cities of Gelendzhik and Krymsk. This was a sort of river “tsunami” that, in a single moment, killed people, overturned cars, and destroyed homes. According to today’s reports, more than 100 people perished – not in a single day, but in a few minutes. Today we also pray for their family and friends, who are suffering and who do not understand the meaning of what transpired, especially when death overtook people who were there to rest, who had gone there specially to spend their summer break. “May such sudden death shake no one in faith, for we know that God arranges man’s paths. It is impossible to understand this tragedy with the human mind. We believe that God leads each one of us along his own path and that the purpose of life is not quiet retirement in abundance and prosperity, but the Heavenly Kingdom. We do not know by which paths the Lord will lead us to the Heavenly Kingdom, but the strength of our faith consists in trusting God and accepting His actions. “The same can be said of the pilgrims who were travelling from Pskov, from Velikiye Luki, to the Pochaev Lavra to pray. The Lord stopped their earthly path along the way of pilgrimage. We believe that he has forgiven them many sins and accepted their souls into His Heavenly Kingdom.